One of Mort Zuckerman’s professors in Harvard Business School told a story of how George Bernard Shaw decided to leave his clerical job in a dry-goods store in Dublin and head to London to write plays. Shaw gave himself three years and figured that if it didn’t work out he could always go back and be a clerk in a dry-goods store. To Mort Zuckerman who would be practicing Law upon graduation, Law to him was the functional equivalent to working as a clerk in a dry-goods store. So he gave himself three years to try something that he was always interested in: Real Estate and Journalism. And he feels as if he has never worked a day in his life. 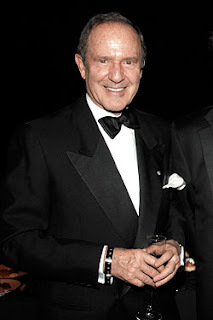 Mortimer Benjamin “Mort” Zuckerman was ranked the 147th wealthiest American in 2008. He built his fortune through publishing and real estate. Mort Zuckerman co-founded Boston Properties in 1970. Boston properties is a self-managed real estate investment trust (REIT) and holds the record of highest paid for an American office building, having acquired General Motors Building in New York for $2.8 billion. Since 2007, he is also the editor-in-chief of U.S. News and World Report which is a monthly American news magazine published in Washington most famous for its rankings and annual reports on American colleges, graduate schools and hospitals. Harvard Business School is the graduate business school of Harvard University in Boston. It is ranked 1st among American business schools by the U.S News & World Report and 3rd in the Financial Times Global MBA Rankings in 2010. It is also consistently ranked in the top ten of other national and global business school rankings and is one of six Ivy League business schools.